HAHA! That is an awesome meme. I think putting in Spiderman is the funniest joke. 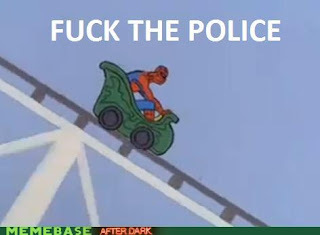 And yeah tell the police get out of there coz a beaming tower is coming their way and Spiderman is riding it.